Dance Classes in York for Primary School Age Children (4-12) including Ballet, Jazz, Contemporary, Tap, Modern, Street and much more. Hi! I’m Miss Lauren and I’m delighted to bring the magic of babyballet to children in the York area. My babyballet class timetable can be found by following the link here where you can register for a three week introductory trial for just £15. Come join our thriving, fun, friendly Freestyle dance school! We offer I.D.T.A. exams, run our own competitions and perform whole school shows in a theatre each 18 months, along with offering regular performance opportunities and more! Our classes provide an environment where students’ abilities and talents are celebrated, and we hope to instill confidence and provide skills that will positively affect other areas of dancers’ lives too. JAZZ HANDS DANCE AND MUSICAL THEATRE is a fun, modern dance and musical theatre environment with a focus on performance. Our choreography focuses on a range of modern dance styles, all with a musical theatre twist. All ages and abilities are welcome and nurtured through weekly classes and annual showcase performances at local theatres. JAZZ HANDERS who join us will experience a range of different dance styles and genres, learning basic dance technique and discipline while having lots of fun through routine based learning. JAZZ HANDS is founded by York choreographer Jessica Hardcastle who has choreographed large-scale musicals across the City including Hairspray, Grease and Oliver! JAZZ HANDS was launched with the aim of providing the York community dance and musical theatre classes that are accessible, inclusive and guaranteed to get the best out of all performers regardless of their age, ability or previous experience. Our class fees are affordable. Our doors are always open to those with a passion for musical theatre and modern dance. Classes are £5 per person per class unless otherwise stated (10% sibling and multiple class discount available) payable in advance of each term. Payment plans can be arranged if necessary as we are committed to being affordable and accessible to all. Can’t see a class time and venue that suits? Get in touch with your class suggestions here. Just Dance York has been a street and freestyle dance school in York for 8 years. The owner Stacey has danced for 20 years and taken part in many shows and events in that time. The school also has 2 other qualified teachers Millie and Gemma who have great experience in teaching and they both also have a great passion for dance. All of our teachers are qualified with the NCDTA. Classes run on a Monday for girls are at Heworth hall, Melrosegate from ages 3-18. They also have a brilliant boys break/street class on a Thursday at Earswick village hall which includes and infant class (3-7) followed by junior class (8-15). All of our lessons are taught by professional teachers, are fun and well organised. Classes can get busy so we always request for people to contact us and book in advance. At only £4 per lesson Just Dance York try to keep prices reasonable and they also offer sibling discount each half term! Just Dance York regularly perform around York as well as putting on their own big shows too. They also take examinations every other year which children can take part in if they wish too. Come and see what Just Dance York is all about! KINESIS dance is an exciting, expanding dance group based in York. Run by qualified dance teacher and choreographer, Helen Brown, the aim of the group is to engage and inspire children, teenagers & adults, from 4 to 104 yrs old, who have a passion for dance and want to learn and develop new skills, become part of a friendly, vibrant group, and have the opportunity to take part in a variety of performances throughout the year. Helen has been teaching dance for almost 10 years, and recently added a number of new classes to the weekly timetable. We run regular Street Dance & Contemporary Dance classes for 4-16yr olds and now offer a fantastic new Musical Theatre Dance Class for ages 7-16yrs where you will learn dances to music from everything from Oliver, to Grease, to School of Rock, and everything in between! Take a look at the list of classes below and get in touch for your *FREE* trial class! The Patricia Veale School of Dance is one of the most established schools in York with an excellent reputation of producing highly trained dancers in classical ballet, jazz, contemporary, tap and modern dance. We offer professional ballet classes to everyone, from pre-school 2.5yrs, children, teens and adults, to progress and develop skills in technique, knowledge and artistry. The first steps of a little ballerina starts right here with nurturing and careful training for young children that develops into many exciting years through a life of a dancer. Situated in the heart of Acomb York in our own premises, with free parking. The school is a clean and safe environment with changing facilities, office and a fully equipped dance studio with ballet barres, mirrors, music system and a professional dance floor. These unique, fun and exciting children’s ballet classes are created to nurture young children’s desire to dance and give inspiration to engage in their first little steps in dance. With the use of props, imagery and enchanting music children are guided into a magical themed adventure packed with interactive exercises which gives children the ability to learn basic steps and techniques along with musicality that is required for a head start in dance, whilst having fun, developing confidence and interacting with other children to develop social skills. The school encourages parents to take part in the younger classes so you can experience and become part of the children’s calm and inviting atmosphere. 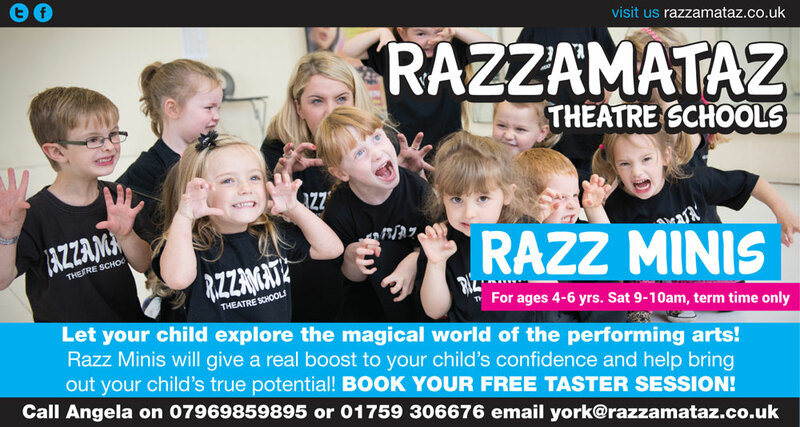 Blaze Dance York offer fun & friendly Street Dance Classes & Adults Modern (Commercial Fusion) in York. Classes are held at the Melbourne Centre, Escrick Street (nr Mecca Bingo). Regular ZUMBA fitness and ZUMBA Gold classes for adults running throughout the city. FREE no obligation trials available. Fusing all the fun of the dance fitness phenomenon with the psychology and physiology relevant to teaching kids. ZUMBA Kids – 4-6 years, ZUMBA kids Jr – 7-11 years. 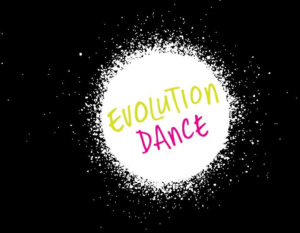 Contact Emily to arrange a FREE trial class or to book a dance party for either kids or adults or arrange a school workshop. At En Pointe we teach dance to infants, children and adults with passion. We’ve got fantastic facilities at our dance studios in York. We are renowned for our multi award winning classes in RAD Classical Ballet, Jazz, Contemporary, Tap, Musical Theatre, Commercial Dance, Pointe Work and Lyrical Dance. Come along to the Field Academy of Irish Dancing. Northern Dance Academy offers Ballet and Contemporary classes for adults at beginner, improver and advanced level. Classes are based at the York Railway institute and taught by highly qualified teachers ensuring a great atmosphere for you to learn to dance. Adult classes are on a Wednesday and Friday evenings and a Saturday morning. For more information contact Sarah. The O’Connor Academy of Irish Dance teaches children age 3+, in a safe and friendly environment. Classes are held from beginner to championship level, whether they want to compete or just dance for fun, it’s a great way to keep fit and make new friends! PERFORM with Emma Bassett has availability in classes for age 3 up to adults. A combination of dance, acting and singing taught by fully qualified and experienced performing arts specialist Emma Bassett. 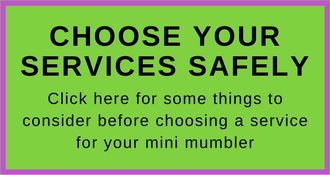 Explore our website for class times and arrange a FREE TRIAL when you mention York Mumbler! York Hotshots are a competitive Cheerleading Club who welcome over 60 children every week into their classes from age 3.5 through to adults! York Hotshots enter national competitions and when possible perform at local events. We train Mondays and Wednesdays from 4.30pm at The Centre @ Burnholme, York.